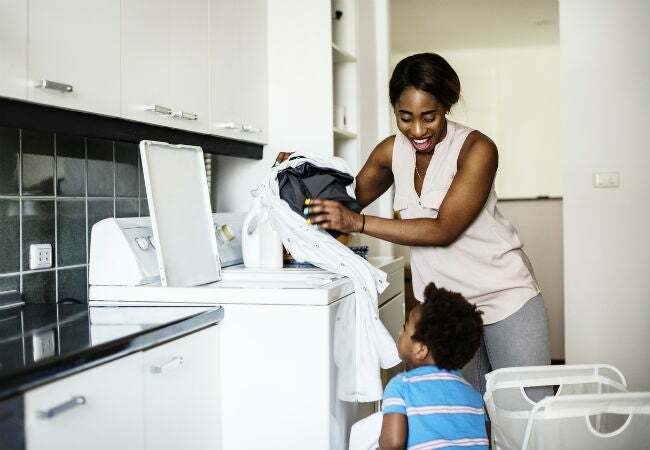 Learn which washing machine cleans best, costs less, and saves more time in the laundry room so you can choose the perfect appliance for your family. Laundry day probably isn’t the highlight of your week, but a reliable, effective washing machine makes the chore far less tedious. 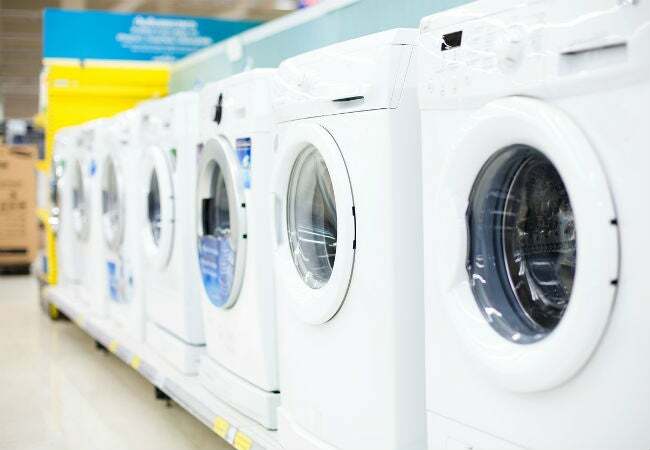 Whether you’re replacing an old, energy-inefficient appliance or purchasing a clothes washer for a new home, you’ll need to decide between two basic types: front-load vs. top-load. 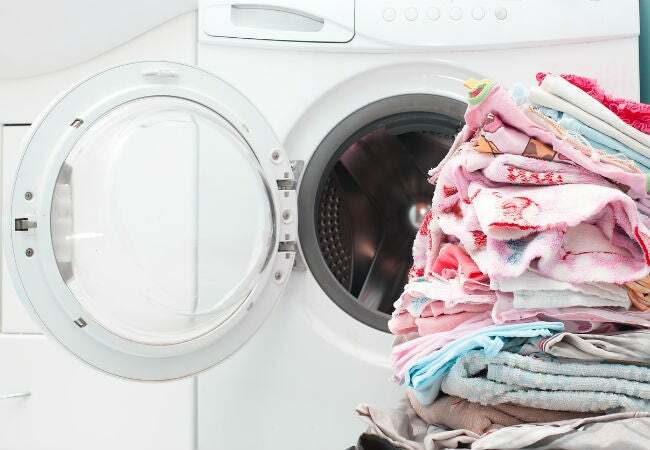 Both clean dirty clothes, linens, and other washables by first swishing the laundry through soapy water, then rinsing off the soap, and finally spinning away excess moisture. But there are differences between the two washer types, the most basic being whether the door is on top or in front. Another major difference is the presence or absence of an agitator—the post in the middle of a traditional top-loader’s drum. The beating action of laundry against the agitator helps loosen dirt and oils so that detergent can easily remove it, but the agitator can be hard on clothes, leading to wear, tear, and fading. Instead of agitators, front-loaders get their “beating” action by tumbling laundry inside the spinning drum to help loosen stains and grime. Newer high-efficiency (HE) top-loaders have also done away with the agitator in favor of an impeller plate—a low-profile rotating hub with vanes—located at the bottom of the drum that adds extra motion to the load without the fabric-pummeling action of an agitator. While most name-brand washer manufacturers offer both front-load and top-load machines, the majority of Americans still prefer top-loaders but don’t favor agitators. According to an Association of Home Appliance Manufacturers survey, 76 percent of the washing machines sold in 2015 were top-loaders, and 52 percent of those were HE models. Still, the market for front-loaders continues to grow. Read on for head-to-head comparisons—top-load vs. front-load washer—to fully understand the pros and cons of each and, ultimately, make the best decision for your home. Front-loaders clean up on performance. When it comes to clean, fresh laundry, front-loaders outperform their top-loading counterparts in just about every consumer-group study. As long as you don’t overstuff the unit, the tumbling-through-air-and-water motion of a front-loader lets the water and detergent efficiently penetrate the fabric, thus removing stains, odors, oils, and other grime more effectively than the back-and-forth agitation of a top-loader. Plus, front-loaders aren’t as hard on your washables. While washing machines of both types are available in a range of capacities, including compact models suited to small living spaces, full-size front-loaders typically have larger capacities than full-size top-loaders. The average top-load machine with an agitator holds three to four cubic feet, while the average front-loader has four to five cubic feet of space inside the drum. The average HE top-loader falls somewhere between the two. To put that in perspective, you need close to four cubic feet to wash a queen-size comforter. Before buying the largest capacity machine available, however, make sure it will fit in your laundry room, as the larger the capacity, the bigger the machine. It’s generally more comfortable to do laundry with a top-loader because you can stand up straight at the machine, while you must bend to reach inside a front-loader. If you’re concerned about hurting your back but have your heart set on a front-load washer, you can add some comfort with a pedestal. These underneath-the-washer-and-dryer raisers add 12 to 16 inches of height to your appliances. Every manufacturer of front-load machines offers this option (for an extra few hundred dollars), and most pedestals include a handy drawer for laundry supplies. You’ll need to buy the pedestals sized to fit your models of washer and dryer—it’s a common add-on when purchasing these laundry-room appliances. While front-loaders and HE top-loaders are very energy-efficient, thus lowering the costs to run them, you’ll pay quite a bit more upfront for either of these types of machine over a traditional top-loader—often, a difference of several hundred dollars. Plus, the more high-tech electronics a model boasts, the more opportunity for something to malfunction. You’ll typically pay more to maintain a front-loader, as well. One very common issue with these machines is the buildup of mold and black slime around the rubber gasket that seals the door. You can help avoid this by regularly cleaning the gasket and also leaving the door open after use so the machine can dry out between uses. But if a problem develops you may need to replace the gasket. Overloading your front-loader is also likelier to lead to a visit from the repairman than overloading your top-loader, as the suspension supporting the front-loader’s drum is likelier to fail under the strain. In terms of lifespan, a top-loader will probably last a decade or longer while a front-loader is less likely to make it to the 10-year mark, assuming equal use and maintenance. When it comes to noise and vibration, it’s a draw. Top-load machines can be noisy, but unless the load becomes unbalanced, they don’t usually vibrate much during any of the cycles. Front-load machines, on the other hand, don’t make much noise beyond a whirring sound but can transmit heavy vibrations to a non-concrete floor, such as wood or vinyl, due to the super-fast spin of their drums. While newer front-load machines are less likely to vibrate, it’s still a consideration if your laundry area is upstairs or you have wood floors. You’ll save a lot of time with a top-loader. If you’re in a hurry to get your laundry done, don’t buy a front-loader, which can frequently take twice as long to complete a wash cycle. That’s because front-loaders have a more complex wash cycle, with water entering the drum and draining out several times during the process, as compared to top-loaders, which fill with water just once during a cycle. Some front-loaders now offer a time-saver setting to speed things up, but your clothes might not come out as clean when rushed because of the reduced water exposure. One of the biggest benefits of front-load washers is their reduced consumption of water. It’s a sizable difference: The typical top-loader uses from 30 to 40 gallons of water to wash and rinse laundry, while the typical front-loader only requires 10 to 15 gallons for the same functions. HE top-loaders are somewhere in the middle; they generally require 15 to 20 gallons of water per load. Less water not only means your water bill will be lower, it also means it takes less energy to heat that water during a warm-or-hot-water wash cycle. Front-loaders make efficient use of space. Just about every front-load washer and dryer set can be stacked using a stacking bracket. That means you can use full-size machines even in a limited space. You’ll need enough room to open the doors, however, so don’t forget to include comfortable swing room when measuring your available space. While you can find pre-stacked “laundry towers” with a top-load washer on the bottom, these units are compact and typically used in apartments or other living quarters with very limited space.